Oneohtrix Point Never's latest EP Love in the Time of Lexapro supplements his prior 2018 full-length Age Of, with a small collection of exclusives and collaborative reworks. Daniel Lopatin's Oneohtrix Point Never has consistently delivered conceptually focused projects. Each full-length raptly developed a particular sonic aesthetic and theoretical imagination. For instance, his 2011 opus Replica stretches and staggers 1980s and '90s television advertisements, echoing capitalist jingles until they collapse into self-criticisms. Or, his 2015 medium bending campaign Garden of Delete collides innocent pop croons with the visceral strokes of grunge and metal, reliving the confusing mutations of puberty. However, to follow his 2018 fictive anthology Age Of, his latest EP Love in the Time of Lexapro lets go of conceptual soundness to share a small collection of exclusives and collaborative reworks. Regardless, while the EP does not follow the past ethos of OPN, each of the four songs disperse into separate, enthralling designs. The EP opens with the title track, a song that is now featured on Lopatin's multi-medium live performance MYRIAD. It begins with a luscious synth stream, a memory of his early experiments on the Roland Juno-60. Yet, the familiar romantic vast is halted by sudden low end daggers. The nostalgia deluges in and out, erupting and suppressing like the intermittent effects of an SSRI. Lopatin's conception of "Love in the Time of Lexapro" is anesthetized and cold, an affectation that yearns for something more. "Thank God I'm a Country Girl" also toys with familiar sounds and techniques. The scattering synth lines undergo the same treatment as the harpsichords on Age Of. However, this time, the reverberations do not progress toward any aims. Rather, it continues to loop with minimal variations. Only ringing for two minutes, the fleeting track briefly interjects like an interlude. Most intriguingly, the EP shares two collaborative reworks. First, its iteration of "Last Known Image of a Song" revisits the closing track of Age Of. Graced by the legendary electronic pioneer Ryuichi Sakamoto, rather than adding to the already barren space, the minimalist mind subtracts even more. In the expanded void, each minute keystroke fades with grand effect until the original synth line returns to close the track. Hopefully, the rework intimates a future collaboration between Sakamoto and Lopatin. Indeed, their differing approaches to ambiance would beautifully clash. The EP's outlier is certainly Alex G's rendition of "Babylon", another track from Age Of. The once ultra-produced '80s ballad is stripped down into a lo-fi folk song. Alex G's vulnerable delivery replaces Lopatin's synthetic croon, and distant acoustic strums take the place of glistening synthlines. With only a hint of Lopatin's manipulation in its end, the original expression is wholly transformed to create one of the most unexpected and intimate songs of the EP. 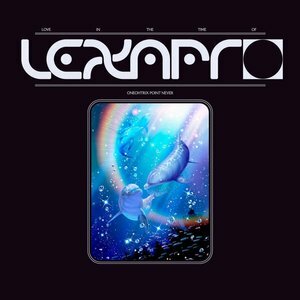 Love in the Time of Lexapro is not a seminal project for Lopatin, but it is certainly not meant to be. Released only several months after Age Of, the EP supplements the prior full-length. The exclusives remember familiar tones, and the collaborative reworks dismantle them. With much aesthetic variance and no theoretical direction, the typical OPN formula is broken, but not to its detriment. It is a brief, pleasant aside after a decade's worth of conceptually demanding music.